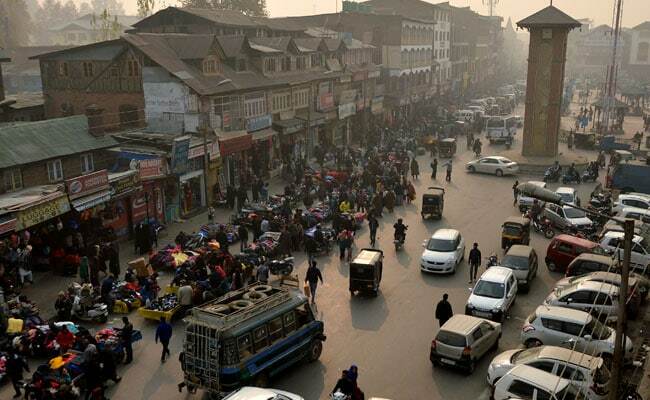 Srinagar: Internet services in three districts falling under the Srinagar Parliamentary constituency, going to polls today, were shut down from midnight as a precautionary measure to prevent floating of rumours by anti-national elements. Srinagar, Budgam and Ganderbal, which form part of the Srinagar Lok Sabha seat, have no Internet connections amid reports that Pakistan-based groups were engaged in spreading disinformation on the eve of polls, official sources said. They said the ban would be removed immediately after polling ends in the Lok Sabha seat for which National Conference president Farooq Abdullah was having a virtual direct contest with ruling PDP's Nazir Khan. Stone-pelting incidents were reported from various parts of Budgam and Ganderbal area in which two police personnel were injured. Crowds indulged in stone pelting in Chadoora, Beerwah, main town Budgam and Pandich and Wakoora in Ganderbal, official sources said, adding one CRPF constable was injured in Budgam and at Wakoora in Ganderbal. Police was making all attempts to prevent mob from growing bigger and bigger and at places it had to resort to tear gas shelling to disperse the mob.